1933 Industries Inc. (CSE: TGIF) (OTCQX: TGIFF), a licensed cultivator and producer of cannabis flower and concentrates and manufacturer of hemp-derived CBD wellness products, is pleased to announce the execution of an exclusive licensing agreement (the “Agreement”) between Gotti’s Gold Ex LLC and Alternative Medicine Association LC (“AMA”), for the launch of Gotti’s Gold in Nevada, a new line of branded cannabis products in partnership with legendary hip-hop artist Kurupt. The Agreement expires on November 9, 2019, and is subject to renewal for an additional twelve (12) month term. Gotti’s Gold is an exclusive premium collection of fine cannabis products intended to appeal to adult-users of all demographics. Having served as Executive Vice President of Death Row Records, Kurupt is one of the most influential hip-hop artists in the business, playing an instrumental role in the launch of the early careers of some of the biggest names in hip-hop from 2Pac and Warren G to Dr. Dre and Snoop Dogg. Kurupt entered the cannabis business as the original creator of now world-famous Moonrocks, and has been working with AMA since 2017, when it launched “The Real Kurupt’s Moonrocks” in Nevada. 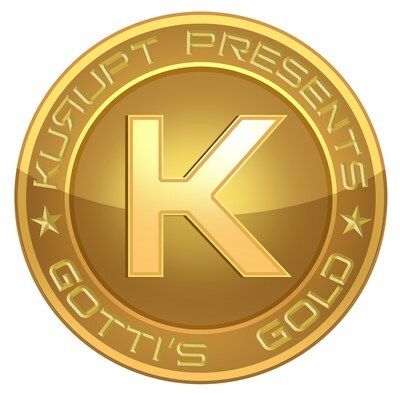 The following products will form the new line of Gotti’s Gold: premium flower, pre-rolls, THC cartridges, Gold Nuggets (infused flower covered in Kief), CBD cartridges, and a branded line of concentrates including wax, and shatter. The extensive premium collection will be launched on April 20, at Las Vegas’ largest 420 celebration, taking place at the NUWU Cannabis Marketplace and sponsored by Canna Hemp™, a 1933 Industries brand. The products will be delivered to licensed dispensaries in Nevada through the Company’s own distribution networks. Kurupt is a hip-hop legend and actor, one of the first rappers signed to Death Row Records, along with Daz Dillinger, Lady of Rage, Snoop Dogg and Nate Dogg. After participating in Dr. Dre’s The Chronic, Kurupt and Daz started their own group, The Dogg Pound. Today, Kurupt is an entrepreneur in the cannabis industry and the creator of the well-known Moonrocks. Kurupt currently has a license agreement with AMA for the production of The Real Kurupt’s Moonrocks. Kurupt is currently on tour and recording a new album. Notice regarding Forward Looking Statements: This news release contains forward-looking statements. The use of any of the words “anticipate”, “continue”, “estimate”, “expect”, “may”, “will”, “project”, “should”, “believe” and similar expressions are intended to identify forward-looking statements. Although the Company believes that the expectations and assumptions on which the forward-looking statements are based are reasonable, undue reliance should not be placed on the forward-looking statements because the Company can give no assurance that they will prove to be correct. Since forward-looking statements address future events and conditions, by their very nature they involve inherent risks and uncertainties. These statements speak only as of the date of this news release. Actual results could differ materially from those currently anticipated due to a number of factors and risks including various risk factors discussed in the Company’s disclosure documents, which can be found under the Company’s profile on www.sedar.com. 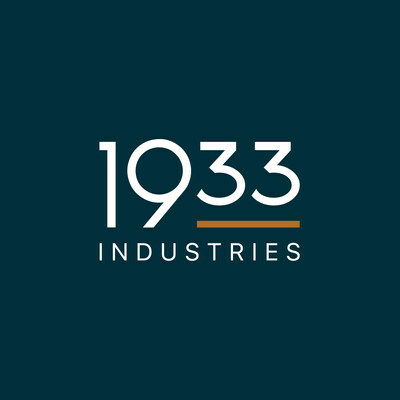 1933 Industries undertakes no obligation to update publicly or revise any forward-looking information, whether as a result of new information, future events or otherwise, except as required by law.